Under the new proposal, a capital gains tax will be applied to shares, which would mean that any investments in New Zealand and Australian shares by KiwiSaver would be taxed on an accrual basis. In order to balance out this measure, the proposal also includes a recommendation for savers to be compensated. There are four such options on the table; a tax refund on the employer's KiwiSaver contribution for those earning under $48k, a claw-back for those earning up to $70k, an increase in the member tax credit, and a reduction of the investment tax paid by those on the lowest rates. According to Sam Stubbs, managing director of KiwiBank provider Simplicity, these changes have been designed to redistribute wealth in the New Zealand economy: "This is highly advantageous for people earning under $40k and saving in KiwiSaver." Like many experts, however, Mr Stubbs also thinks the proposals are highly complicated, saying "Why not do it with a simple tax rate change?" The final impact of a capital gains tax on KiwiSaver investors will depend on what income bracket and type of fund you are in. Other experts are in agreement with Mr Stubbs, including Susan St John, an economist and co-director from the Retirement Policy and Research Centre at Auckland University. 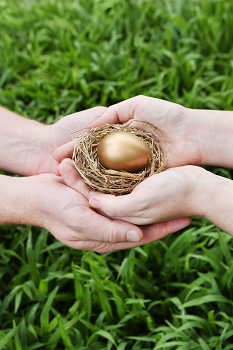 She too has cautioned the government about making complex changes to retirement policies: "The Tax Working Group (TWG) has acknowledged that the introduction of a capital gains tax on shares will have a negative effect on the savings of low income people in KiwiSaver... This has led the TWG to require complicated policy changes to provide compensation. This is one of the many reasons to doubt the wisdom of a CGT that includes shares." People earning up to $48,000 will get the full benefit of the proposal if passed, with benefits reducing to zero at the top end of the $48,000 to $70,000 income bracket. While everyone earning less than this amount can expect collective savings of a few hundred million dollar each year, those earning more than this amount could be worse off by around $45 million. KiwiSaver is set to go through additional changes in 2019, including the introduction of the Taxation Bill with three KiwiSaver proposals. Along with significant changes to annual rates, business taxation, and remedial matters, the bill will also change the name of the contribution holiday to savings suspension; add contribution rates of 6 percent and 10 percent to the existing 3, 4 and 8 percent rates; and allow people over the age of 65 to join KiwiSaver.